An aerial view of the Western Shore looking North West, probably taken from a high window or the roof of the Royal Southern Yacht Club. 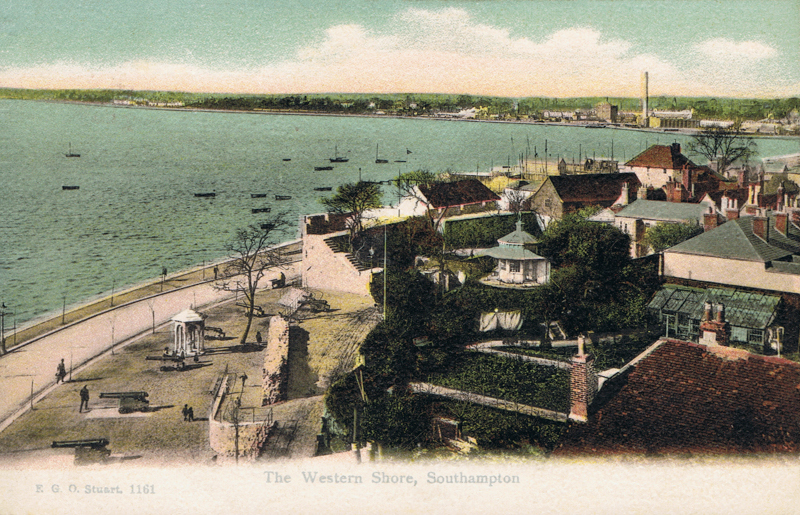 The sea in this picture has since been reclaimed and is now the site of the West Quay shopping centre and west docks. In the far background can be seen the power station and what is now Southampton Central station.